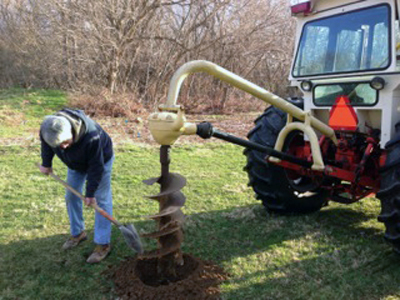 This WV project CommuniTree project was the second tree planting hosted by the Elks Run Watershed Group (ERWG), whose mission is to act as an advocate and steward of the Elks Run watershed by undertaking projects that will lead to pollution reduction and connecting citizens to the watershed. 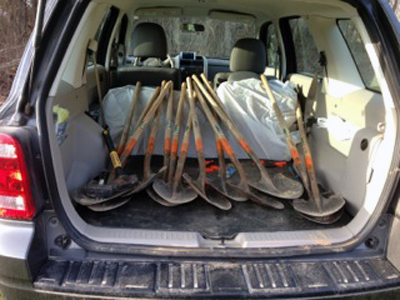 For this project, they partnered with Jefferson County Parks and Recreation with the idea that doing so would help expand our volunteer base and provide a publicly accessible planting site next to the actual Run. 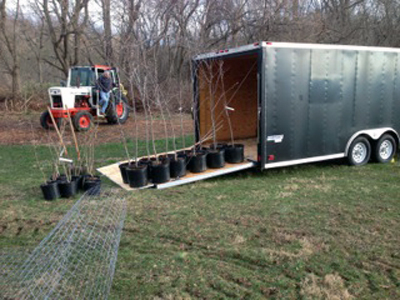 They received a modified 24 mix (6 large redbuds, 3 large Serviceberry, 3 large Flowering Dogwood, 4 small hazelnut, 4 small spicebush, 4 small elderberry.) Power lines run through a portion of the area to be planted, so they chose smaller trees/shrubs that will not interfere with those lines. The trees were planted in the grassy area in-between the "pond" and Elks Run before it meets the foot bridge and camping area. 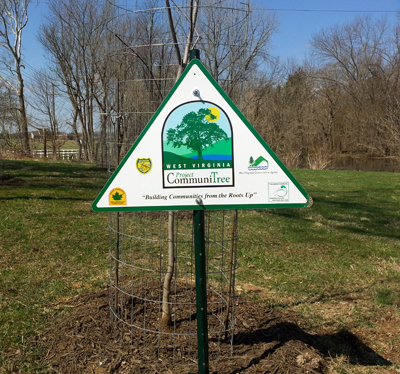 Because they were planting a small number of trees, they chose to combine the tree planting with the WV Make It Shine and Chesapeake Bay Watershed Project Clean Stream cleanup programs. 52 volunteers in hats, coats, and gloves braced a very strong and chilly wind as they worked between 8 am and noon planting trees and cleaning the park. The actual planting of trees only took about an hour--so an hour of prep, an hour of getting organized and educated, and an hour to plant with 30 minutes of clean up and then 30 minutes to celebrate their hard work! 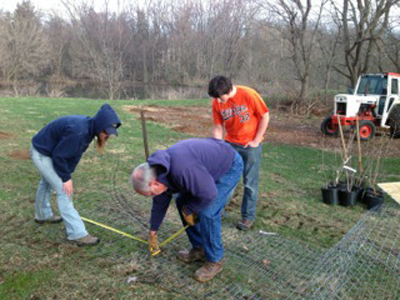 Once again, local civic groups that volunteered include BSA Troop 83 and Pack 42 and Jefferson High School National Honor Society. 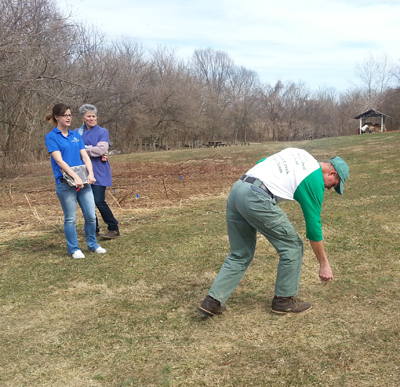 Half of the volunteers worked at the planting site while the other half cleaned up trash.